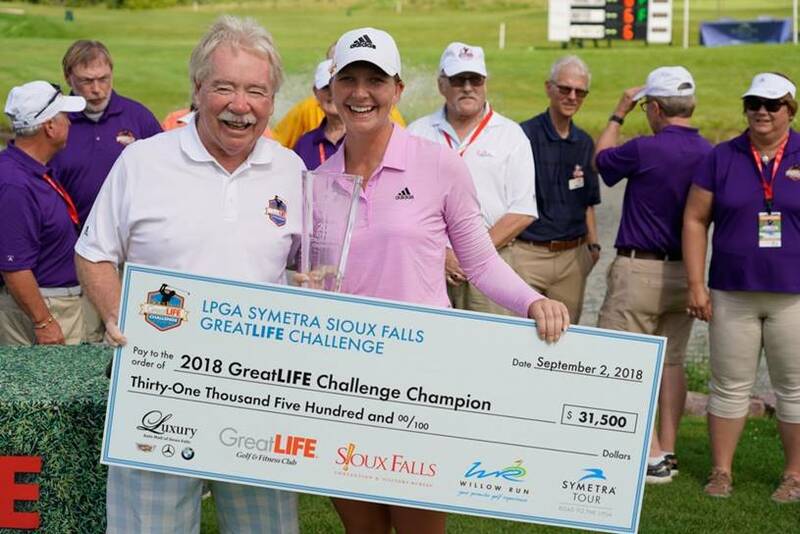 142 Golfers and more than 3 million dollars – That’s the player count and economic impact of the 4th annual Sioux Falls GreatLIFE Challenge. The tournament was one of only four 72-hole events on the tour and one of only 21 cities to host the tour. It also featured players from 31 countries, 26 different US states and 24 of the top 25 players on the money list. HenkinSchultz was once again thrilled to be involved and contribute to the tournament’s success. “The GreatLIFE Challenge is really a chance for us to do what we love best,” says Becka Burger, Partner, Director of Client Services. Swedish golfer Linnea Strom took home the $31,500 purse and trophy in her first professional win. And all of us took home some great memories.